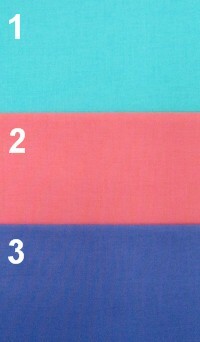 Cotton Couture Solids by Michael Miller: Add color and excitement to your next project with these supple solids. Designed to coordinate with other Michael Miller collections, this luxurious new collection is made of high quality and density cotton creating a silky soft touch. Used in HoopSistes 2015 EmbroidaBlock of the Month, Sewn Seeds.